About 250 people marched for the annual May Day protest for workers’ rights last night in downtown Montreal. 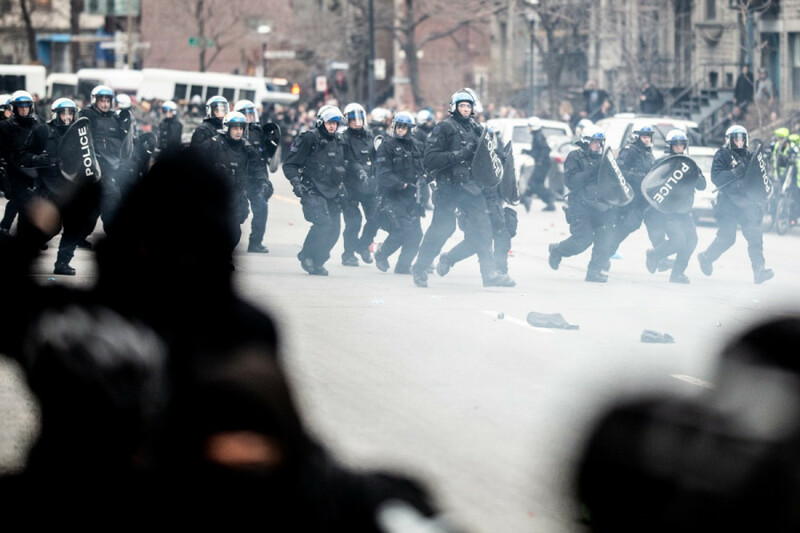 Five people were arrested, including a minor for obstruction, mischief and armed assault of a police officer said Montreal police. Labour Day is celebrated all over the world, and commemorates the 1886 Haymarket massacre in Chicago where a confrontation between workers on strike and the police resulted in two workers being shot dead by officers. It is traditionally celebrated by unions. “What we want to put forward today is that, as workers and tenants, we’re not alone,” said Emmanuel Cree from the Industrial Workers of the World. 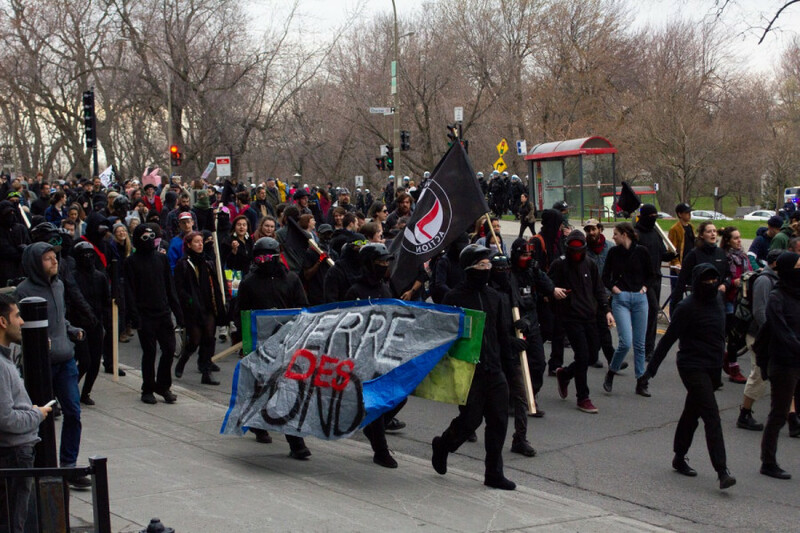 The main demonstration, which was held by the Convergence des Luttes Anti-Capitalistes, began on Sherbrooke and Ahmerst St., but soon ended within minutes. The CLAC has been organizing marches for 11 years now. 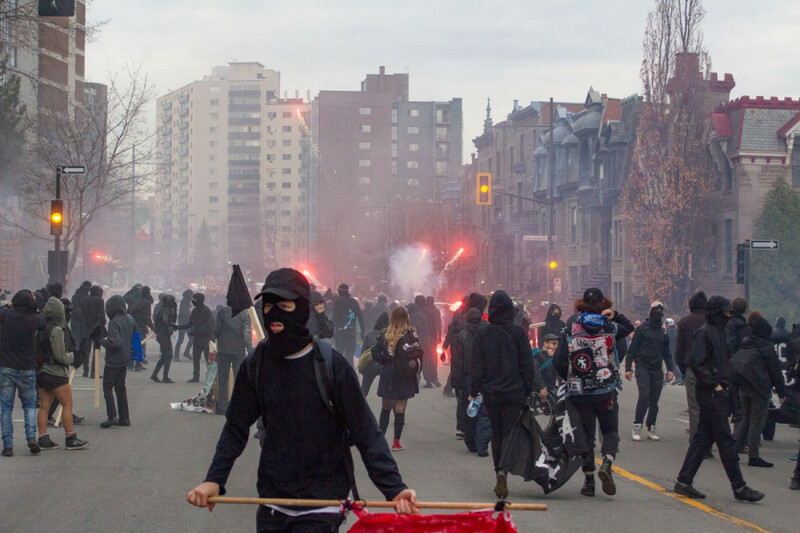 A few streets east of St. Denis St, protesters damaged two cars on Sherbrooke St.
Police responded with batons, and protesters defended themselves with black flags and set off a large mass of firecrackers. The protest was effectively dispersed less than 10 minutes after it started when police shot tear gas. Police also shot blunt projectile impacts. 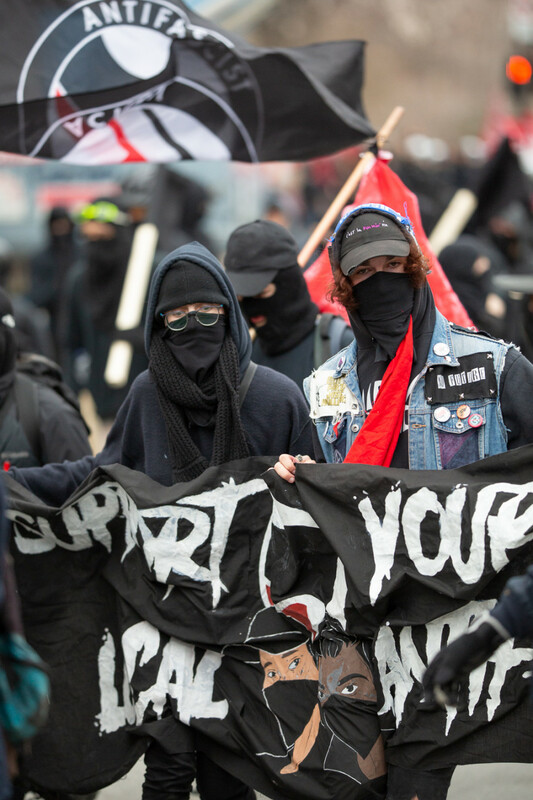 Earlier in the day about 200 protesters took to the streets in Parc-Extension, marching from Hutchison and Ogilvy and down Jean-Talon St. led by the IWW. The protesters afterwards went to join the CLAC’s protest at night. At 7 p.m, protesters regrouped at Square Phillips by McGill metro and continued to march, this time with the Parti Communiste Revolutionnaire, who were also soon dispersed by police. About 30 protesters weren’t ready to give up and met up at Mont-Royal metro, where they continued to march and chant until the police put an end to their demonstration on D’Iberville St. in Hochelaga, a bit past 8 p.m. This year, protesters were also denouncing gentrification in Parc-Extension as well as demanding a $15 minimum wage, in addition to empowering workers. “As workers, unemployed students and tenants our best defence against those who exploit and abuse us is solidarity,” said Selena, a worker with the IWW who didn’t want to give her last name.